South London artist Matt Maltese has announced his biggest headline tour to date. Matt Maltese released Bad Contestant, his long awaited debut record via Atlantic Records on 8 June. The record, a product of 12 days spent in Foxygen instigator Jonathan Rado’s Los Angeles studio and many hours of sessions with Londoner Alex Burey, displays a no-less-than stunning leap forward in songwriting confidence from the critically acclaimed young musician. 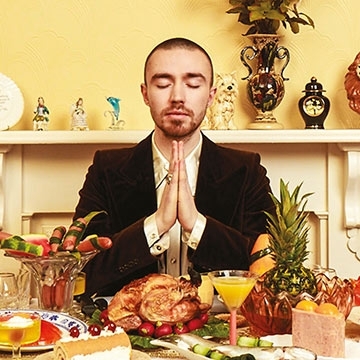 British but born to Canadian parents, and a focal point of the vibrant South London scene which includes Shame, Goat Girl, Sorry, and black midi to name but a few, Matt Maltese’s acerbic, witty songwriting has won admiring glances on both sides of the Atlantic around the release of Bad Contestant. The record received rave reviews with four stars coming from Clash, Dork, The Line Of Best Fit, Nme, and Q, and five from DIY. With Bad Contestant out in the world, attention now turns to bringing the record to life in front of Matt’s growing legion of fans up and down the country this November.